Can you really earn more by working less? We’ve all been taught that more is better so how is it that some people earn more and achieve more by working less? They do it by choosing the right things to do. The most successful among us focus on doing things that allow them to take giant leaps instead of incremental steps. The kinds of things that let them leverage their resources and get “eighty percent results with twenty percent effort”. It’s not that they ignore the little things. It’s that at any given moment, they’re able to zero in on the one thing they can do that will give them the most bang for their buck. Real estate entrepreneur, Gary Keller, made this the theme of his bestselling book, The ONE Thing. He says that we can become much more successful by finding and doing the one thing (activity, task, decision, etc.) that can allow us to achieve extraordinary results. If your goal is to bring in ten new clients per month within 90 days, for example, out of all the things you MIGHT do, you should find and do the one thing that is likely to make it most likely that you will achieve that goal. Start by brainstorming possibilities. You’ll probably think of hundreds of ideas, and if you don’t, read through my blog and courses. Put your list aside for a few days, come back to it and look for your ‘one thing’. You may reason your way to a decision, but it is just as likely that your “gut” will tell you. If you’re not sure, go through your list slowly, think about each idea and see how you feel about it. If it feels good to think about it, if you find yourself getting excited about it, the odds are that’s what you should choose. 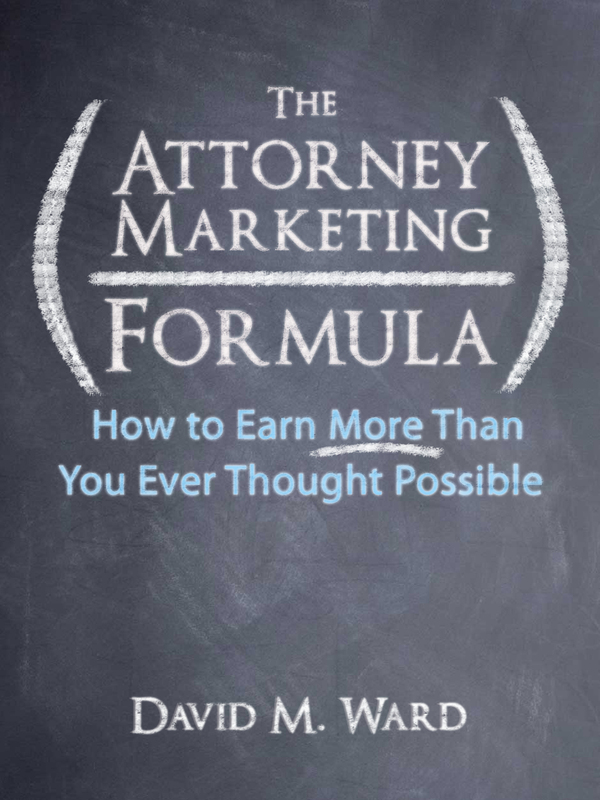 Your ‘one thing’ will likely be different than any other lawyer’s. You might decide that your one thing is to hire someone to create a new website for you. 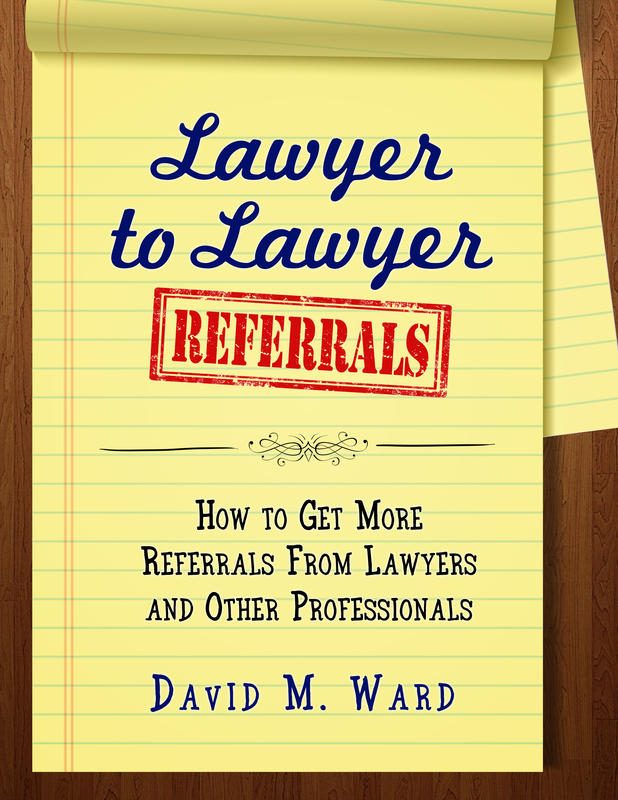 Another lawyer might decide that his or her one thing is to meet prospective new referral sources. Someone else may decide that advertising is the right thing for them. All of these things, and others, might help you reach your goal, but you should consider them later. Right now, you should find your one thing and do it. All our lives we’ve been told that hard work is essential to success. The person who works harder than other people generally achieves more than other people. But is that always true? Does someone who earns a million dollars a year work ten times more than someone who earns $100k? What about people who work incredibly long hours every day but continually struggle? We’ve also been told that there are no shortcuts to success. It doesn’t happen overnight. Okay, then how do you explain the many tech entrepreneurs who are billionaires before they’re 30? I don’t purport to have all the answers but clearly, there isn’t an absolute causal connection between effort and results, hard work and success. There are other factors at play. That’s why I continually look for ways to work smarter. Working smarter is about leverage. Getting bigger (or quicker) results with the same or less effort. Fortunately, there are lots of ways to do that. You frequently hear me prattle on about the 80/20 principle. I do that because it is the quintessential illustration of leverage and I encourage you to continually look for ways to use it to increase your income and improve your life. Where does most of your income come, for example? The odds are that a high percentage of it comes from a few things you’re doing, the so-called “20% activities that deliver 80% of your results”. Look at your practice area(s), target market(s), and marketing methods. You’re likely to see that most of your income comes from a “precious few” things, not from the “trivial many”. When you find your precious few, do more of them. Get rid of other things to free up time and resources so that you can make that happen. If 80% of your income now comes from one or two marketing activities, for example, doing more of those activities could increase your income by 160%. That’s because you’ll have two blocks of 20% activities instead of just one. Back when I was a cub lawyer, struggling to figure things out, I made three changes to what I was doing and my income skyrocketed. In a matter of months. I also went from working six days a week to just three. So nobody can tell me there aren’t any shortcuts. Now, if you will excuse me, it’s time for my nap. 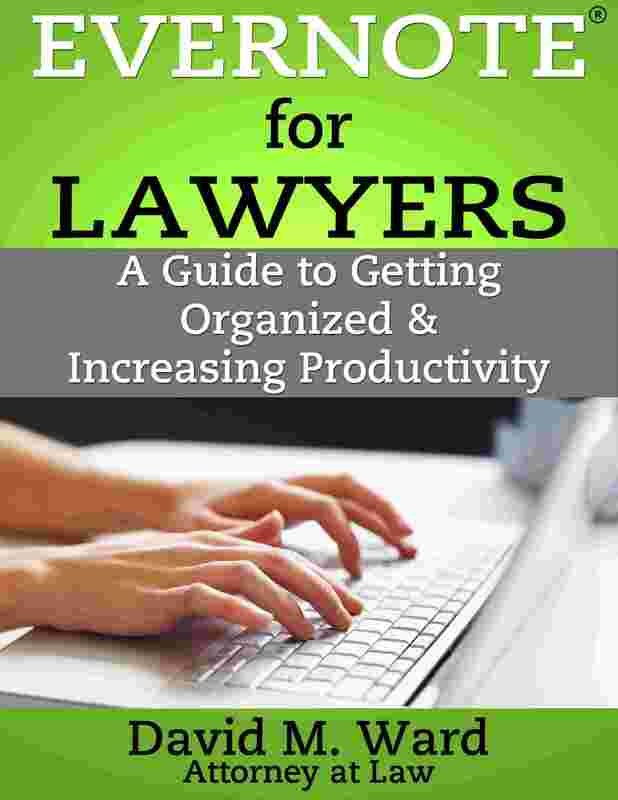 How long does it take to build a successful law practice? How long does it take to build a successful law practice? It takes as long as it takes. That’s my smug, lawyer-like answer, a variant on “it depends”. In lay terms, I would say, “I don’t have a clue”. Because everyone is different. What is your practice area? What’s your target market? How much experience do you have with marketing? And a slew of other questions that are a part of the equation. Actually, there is one question that should be at the top of the list. In 80/20 parlance, it’s one of the “precious few,” a 20% factor that can determine 80% of your results. 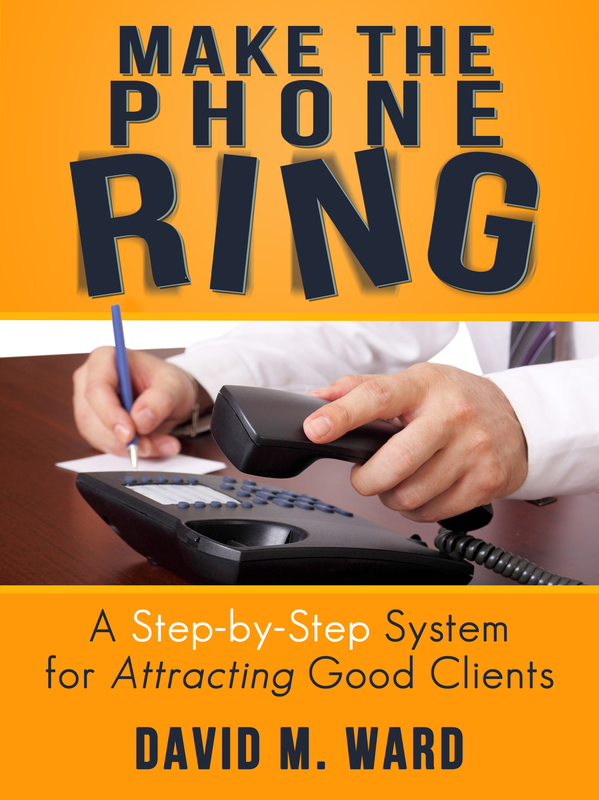 How many prospective clients do you know? How many prospective referral sources do you know? And, if you’re not starting from scratch, how many former clients and existing referral sources do you know? Why is this more important than things like skills, experience, reputation, or work ethic? Because the shortest path to success is through other people. That’s true for any business, and even more so for a professional practice. If you know lots of people who can hire you, for example, it only makes sense that the odds of your getting hired are better than the lawyer who knows very few. The same is true of referral sources. You may not (yet) be very good at inspiring them to hire you or refer, but knowing more people (and staying in touch with them) can give you a big edge. So, how big is your list? Now, by list, I mean any kind of list–paper, digital, or even the list in your brain (note to self: write down the list in my brain so I don’t forget it). In years gone by, we would talk about the size of your Rolodex. (Please, no selfies of your massive Rolodex.) Quality was important, but all things being equal, the bigger your Rolodex, the better. Today, your list is predominantly digital. Quality is still important. And size still matters. But today, there is another factor that can make a big difference. If you’re doing it right, you have everyone’s email address and permission to use it. Which means you can increase the speed and frequency of communication. Which means you can achieve more results (i.e., bring in more clients) faster than you could if you only had their phone number and address. No, that doesn’t mean you shouldn’t call and talk to people. Talking (and meeting in person) allows you to build deeper relationships. Email will never supplant that. But with a couple of clicks, email allows you to tell hundreds of people or thousands of people about your upcoming seminar, updated web page, or special offer. Can’t you do that on social media? Maybe. You don’t have any control over who sees what. It’s also less personal and thus, less effective. Okay, you have a big list. I still can’t tell you how long it will take to build a big practice. But I can tell you that it will be quicker for you than for most other lawyers. Among other things, The 80/20 Principle, one of my favorite books on the subject, tells us to “pursue those few things where you are amazingly better than others and that you enjoy most.” Do them to the exclusion of other things you’re not as good at. To do this, you must work on your strengths, not your weaknesses. Figure out what you do best and find ways to do it even better. I do a lot of writing. It’s one of my strengths. I invest in getting better at it by reading books and blogs about writing, watching videos, listening to podcasts, and making sure I work at it every day. I also invest in tools that help me write better and faster. I’ve mentioned Scrivener before and told you that I now do all my long-form writing in it. I got a new chair recently that helps me sit longer. It helps me get more writing done because I don’t need to take as many breaks. After that, I’ll probably look at external monitors. A bigger screen will allow me to look at two documents at one time, instead of having to switch back and forth. Maybe dual monitors is the thing. For a long time now, I’ve been using the track pad on my laptop. I might start using a mouse again. It’s all about getting that edge. Making a good thing even better. How about you? What do you do best? How are you investing in yourself to get better? Basketball coaching legend John Wooden was known as a perfectionist. He believed that planning and preparation and attention to detail were the keys to winning. He expected the best from his teams and usually got it. In his long career, Wooden proved that his methods worked. He left a legacy unmatched in the field of sports and we can learn a lot by studying his methods and his life. But how much of what he teaches can we use to build a law practice? Can we demand as much from ourselves and our staff as Wooden demanded from his teams? Let’s think about that in the context of the first client interview. I suspect that Wooden would have us regularly drill on the questions we ask and the things we say, continually improving how we sound, our body language, and our timing. He would have us study the client intake form to the point where we could recite it in our sleep. He would have us practice everything several times a day. Every minute would be scripted, every detail drilled to perfection. He would evaluate us not just on whether or not the client signed up but on how many referrals we got before they left the office. Is that the standard we should seek? I’m not saying we can’t learn by paying attention to detail. 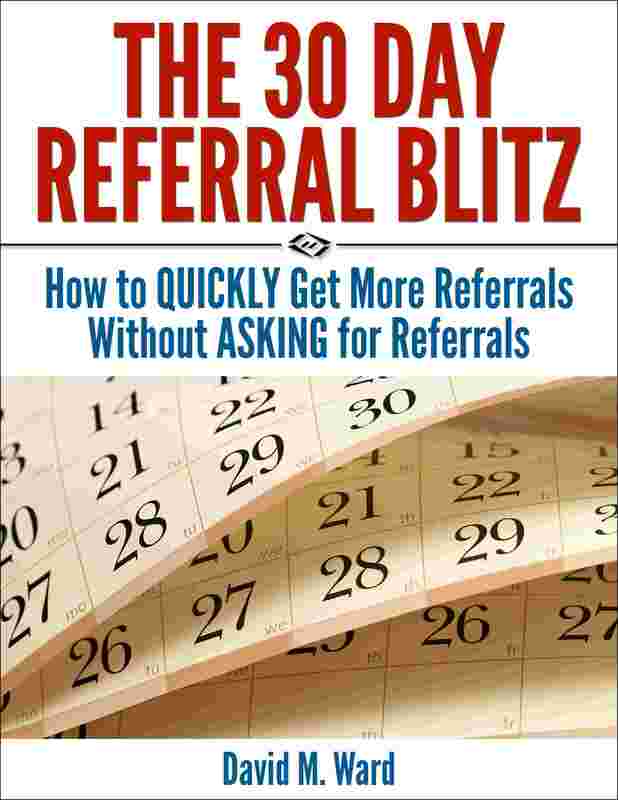 We can, and we can use what we learn to sign up more clients and get more referrals. But I don’t believe we need to work that hard to get every detail right. According to the 80/20 rule or The Pareto Principle, in anything we do, only a few things make a difference; most things don’t. If we get the few things right, we don’t need to obsess over everything else. Let’s say that body language is one of the few things that make a big difference. (I believe it is). If we make eye contact, smile appropriately, and otherwise show the client that we are listening to them and sincerely care about helping them, we’re more than half-way home. But this doesn’t mean we need to drill on every word we say, where we place our hands, or how we time our gestures. If you truly care about the people in your office, none of that is necessary. If you don’t, none of that will help. With most things we do, good enough is good enough. Get the important things right, the 20% that delivers 80% of your results, and you won’t need to sweat the small stuff. Yes, but what if you don’t need to do it at all? Everyone and his brother says that hard work is the key to success. But is it? I can point to many times in my life when I was successful without hard work. In fact, many of my successes came with little or no effort. I can also point to times when I worked my fingers to the proverbial bone and accomplished nothing. Goose eggs. Bupkis. I’m sure you could say the same thing. No mention of hard work. “Doing it enough” implies persistence, but that isn’t necessarily hard. In fact, the more you do something, the easier it usually gets. “Doing something right” is important, of course. With a little practice, you can usually improve your skills (and your results). Let’s flip around the phrase “doing something right”. Could this also mean “doing the right things”? Yes it could. In fact, I think doing the right things is the key to success. It’s the 80/20 principle that I talked about recently. We are much more successful at some things that others. Choose the right things to do, and you will have more success. Don’t tell anyone, but I found law school and the bar exam to be relatively easy. I have always been good at exams, especially essays. Essays are a “right activity” for me. Ever meet someone who seems to lead a charmed life? They don’t work hard and yet they go from one successful outcome to another. They have a great career, and everything seems to come to them quickly and without a lot of effort. Is it talent? Luck? Magic spells? Maybe. Or maybe they’ve simply made the right choices. I’m not saying “don’t work hard”. Working hard is a way to hedge our bets, in case we’re not as good as we think, or in case we haven’t chosen the right activity. Work hard if you want to. Just don’t depend on it. Look at your phone. How many apps do you have? Now, look at your hard drive and answer the same question. If you’re like most people, you have many more apps and programs (and tools in your garage) than you use. It’s unlikely that you’ll ever use them, or if you used them once, use them again. But we can’t help ourselves. We like new. New apps, new techniques, new ideas. Even if we never use them, and even if what we’re already using works just fine. There’s nothing wrong with looking. I do it, too. But I don’t spend a lot of time on it because what’s new today is often gone tomorrow. I’ll wait until others have vetted the app or the process and recommended it. Then I’ll look. Maybe. I might be too busy using what I’ve already got and getting some work done. Anyway, the point is that simple is better. A few apps. A few tools. A few techniques. If you’re not keeping it simple, the odds are you’re not getting things done. Take marketing for example. If it’s not simple, the odds are you won’t do it. True or true? According to the 80/20 rule, “a minority of causes, inputs, or effort usually lead to a majority of the results, outputs, or rewards”. Figure out which inputs (efforts, tools, apps, techniques) are producing most of your results and do those. Don’t worry about (most of) the rest. Lawyer networking–is it a good use of your time? Some say that formal networking (the way most people do it) is a low yield activity. They say that the people you meet at chamber of commerce and other formal networking events are unlikely to have much business to give you. They are networking because they need business. The ones who have plenty of business, and thus plenty of referrals to give you, are not at the events, they’re at the office helping their clients. I’m not sure I’m willing to accept this as a universal truth, but let’s say it was true. If you’re thinking about networking as a means to grow your practice, does this mean you should reconsider? No. It means you need to approach networking with a different agenda. One way to do this is to forgo meeting most of the attendees at these events and instead focus on meeting the organizers and speakers. These people know the people at the events, and many more who aren’t. They can steer you towards prospective clients and other professionals who might be a good match. Meeting these centers of influence allows you to leverage your time. You will have to work just as hard to build a relationship with them as you would with anyone else, but if you are successful, that relationship could yield far more results than a relationship with someone who is just starting out. On the other hand, networking with people on their way up can also be a good thing. They may not have much business to give you right now, but if you stick with them while they grow and become successful, they could become good clients or referral sources. Spend 80% of your networking time courting high-value connectors and centers of influence. Note that these people are probably sought after by others who want to know them and may also have attorneys to whom they are already committed. These people may be a tougher nut to crack, but if you are successful, they could open many doors for you. Spend 20% of your networking time building relationships with people who can’t do much for you now, but might someday. They may be small potatoes, but in a few years, they may be so busy, you’ll never have a chance to meet them. I just heard about a hoarder who had 30 years of newspapers and magazines stacked floor to ceiling in nearly every room of his house. Yeah, he had a lot of issues. So last weekend, I cleaned out my closet and armoire and got rid of a lot of old clothes. There’s empty space now, and it feels good. Next stop, my office. Once a year, I get the bug to de-clutter. I like to, “Hack away at the unessential,” as Bruce Lee said. Getting rid of things I don’t use, simplifying my life. It’s not just about possessions. I try to do the same in my digital word. Eliminating (or at least filing away in a place I won’t see them) forms, emails, notes, and assorted paperwork. I pare down the apps on my iPhone, too. I like looking at an empty email inbox and a slimmed down “My documents”. It gives me a sense of peace and control over my world. Fewer things to look at, think about, or update. Bruce Lee talked about getting rid of the unessential to better focus on the few things that mattered most. He concentrated his work outs, his energy, and his focus on a few things. It made him more efficient, quicker and more powerful. He may never have described it as such, but he appears to have embraced the Pareto Principle, eliminating the “trivial many” so he could focus on the “precious few”. 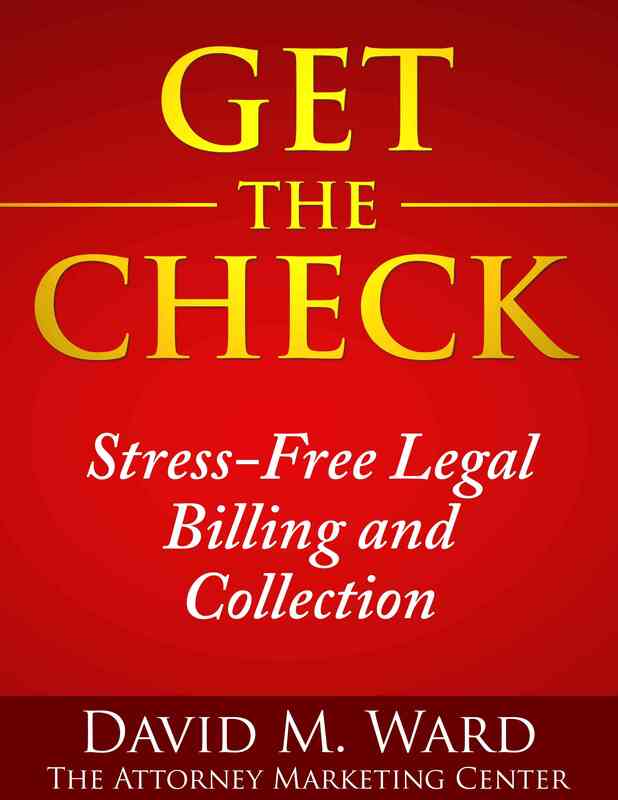 In a law practice, that might be achieved by getting rid of (or filing away) eighty percent of your forms (letters, checklists), so you can focus on the twenty percent you use the most. You’ll have time to make them even better. You could do something similar with client intake. Identify the most important parts of the process and spend more time on them. Do you really need to know all of the facts or review all of the documents at the first meeting or might some of this be done later? Freeing up some time at the first meeting would allow you to get to know the client better and he, you. It could also mean paring down your client list, getting rid of marginal clients who pay the least or give you the most trouble, so you can focus on your best clients. Bruce Lee believed that simpler is better. When you hack away at the unessential, you aren’t mired in complexity or distracted by minutia. Fewer moving parts makes you more agile. You get better at the most important things. How can you hack away at the unessential in your law practice?